Slice your french loaf into half lengthwise. You will now have two French loaves for making pizza. Top your loafs will spaghetti sauce, cheese, and any other toppings you may be using. It’s good to be a little stingy with the sauce, since you’re putting tomato sauce onto a very porous surface, and if you are heavy-handed with the sauce, your pizza will be on the soggy end of things. Bake at 400' for 10-15 minutes, or until the crust is crispy and the cheese is melted. In a mixing bowl, combine the hot water with 1 cup of flour. Add the yeast, sugar, salt, and oil to your mixing bowl. Whisk together to make a “spongy” dough. Let sit for 10-15 minutes. Grease a baking sheet. Add another 1 ½ cups of flour to the spongy dough and stir with wooden spoon. 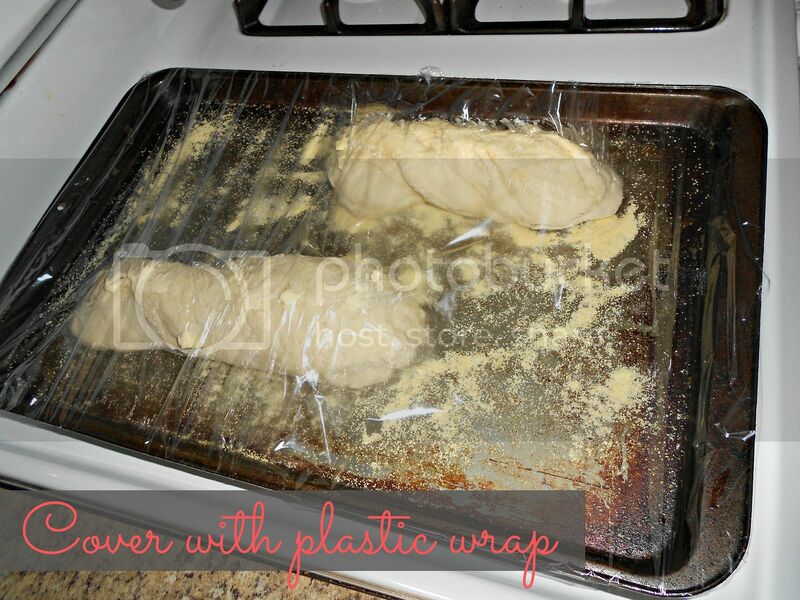 Then, knead in 2 tablespoons of flour at a time, until the dough can be handled easily and kneaded into a long loaf. Place one long loaf (or two shorter loaves) on a greased baking sheet. Cut diagonal 1-inch long slits along the top of the loaf. Set the loaf aside and let rise for 30 minutes to 1 hour in a warm place. Preheat your oven to 350'. Bake the loaf for 15-20 minutes, until golden brown on top. Remove from oven and let cool on a rack. Slice the loaf when it has partially cooled. Bread Machine Directions-Place the ingredients in the order listed in your bread machine bowl. Set the machine to the dough cycle. Grease a baking sheet. 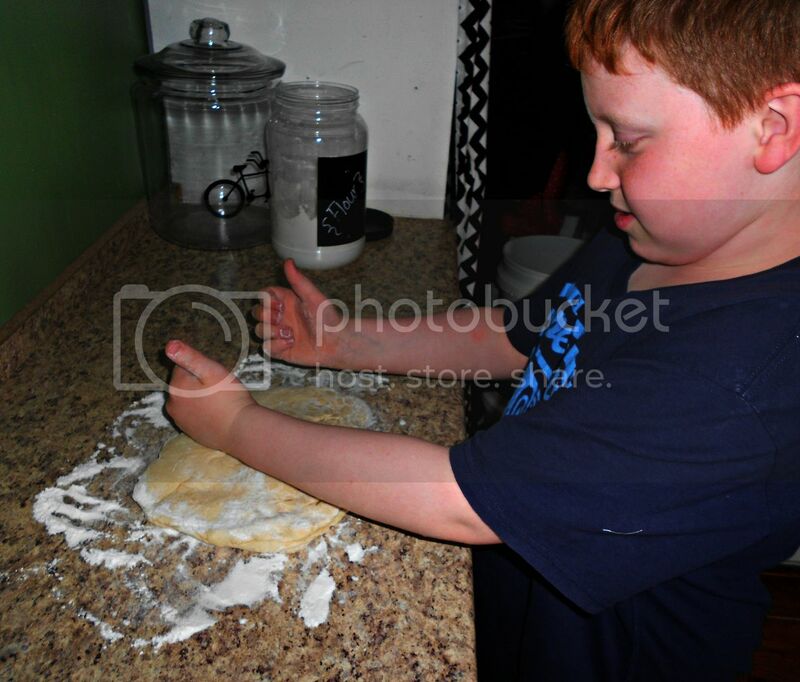 Once the dough cycle is completed, flour your fingers, remove the dough, and place it on a floured surface. Then, knead in 2 tablespoons of flour at a time, until the dough can be handled easily and kneaded into a long loaf. Place one long loaf (or two shorter loaves) on a greased baking sheet. Cut diagonal 1-inch long slits along the top of the loaf. Set the loaf aside and let rise for 30 minutes to 1 hour in a warm place. This recipe can also be found in this weeks menu plan. Find it HERE. I love to bake French Bread. It is so easy, only takes a few ingredients and my family loves it. I've taken to using my Kitchen Aid mixer to do all the mixing and kneading - super easy, and I like the results better than using a bread machine. Have a super day! MMMMM...Looks delicious. 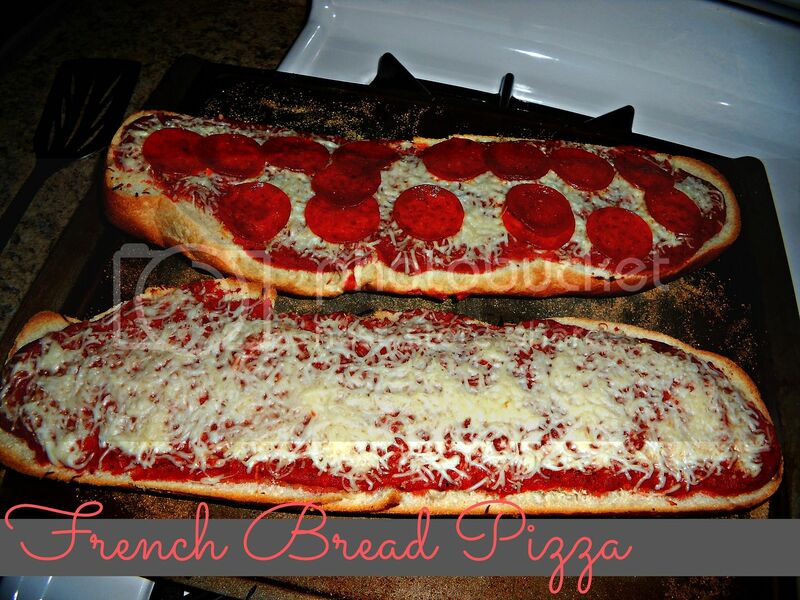 French Bread Pizza is one of my familys favories.